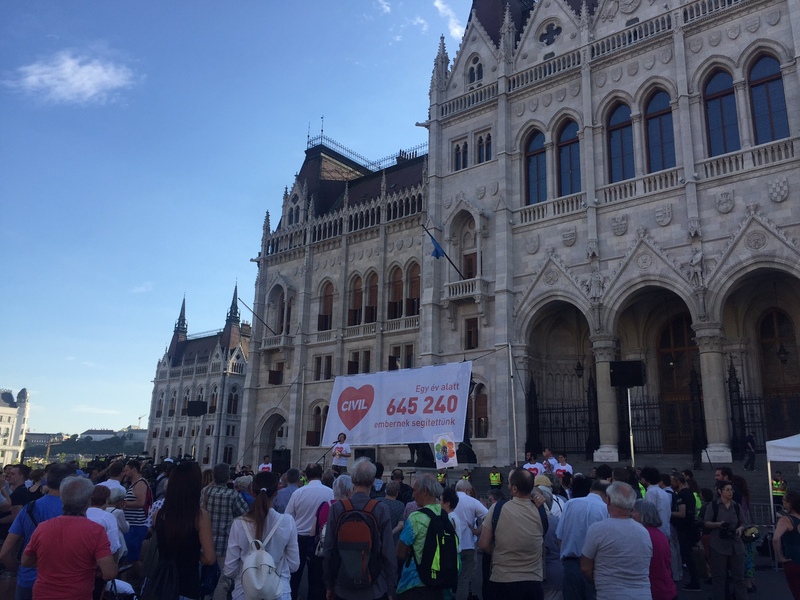 Dozens of civil society groups in Hungary pledged to fight a controversial legislation passed by parliament on Tuesday (13 June) and is seen as a crackdown on foreign-funded NGOs. The new law, passed by 130 Yes votes, and 44 No votes, will force NGOs that receive more than €24,000 in a year from a foreign donor to register as a “foreign-funded organisation”, otherwise they will be forced to closed down. The law also says NGOs need to label themselves as “foreign-funded” in every publication and the media. The legislation has been condemned by the United Nations, the EU and international rights organisations, saying that it curbs freedom of expression and freedom of assembly. 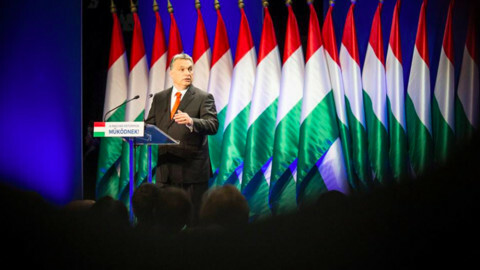 Hungary’s government has argued that the legislation helps to fight money-laundering and financing terrorism. The NGOs, however, say that the law merely aims to silence and intimidate critics of prime minister Viktor Orban’s government. They argue that existing legislation already ensures transparency, including revealing foreign donors. In a statement published on Tuesday , 184 Hungarian NGOs – including groups dealing with women's rights, Romani people, teachers, the environment, journalism, children's rights – they argued that the new law endangers free expression of opinion. “It [the law] is stigmatising, because it suggests that organisations that are working for the Hungarian society, with the help of international resources, can be a threat to the country,” the NGOs warn. The groups, which have not been consulted by the government, vowed to fight the law in all national and international forums. Several groups said they would defy the requirement to register, and challenge the law at Hungary’s Constitutional Court, the European Court of Human Rights, and ask the Hungarian court to seek a legal opinion from the European Court of Justice. The legislation is seen as an another attempt by Orban's government to target Hungarian-US billionaire George Soros, whose Open Society Foundations help finance several groups. Hungary’s ruling Fidesz party reacted to the NGOs pledge to civil disobedience by saying the legislation is necessary to make "Soros’ network" more transparent. “Soros has declared war on Hungary, he wants to dismantle the [border] fence, he wants to bring in immigrants, and to achieve this, he wants to use his agent organisations,” the party said in a statement. Open Society Foundations, Soros’s main vehicle to distribute aid, have spent more than $1.6 billion on developing democracies in central and eastern Europe and the former Soviet Union, after the fall of communism. The EU has warned against adopting the law. European Commission vice president Frans Timmermans said in April that, if adopted, the legislation could clash with the EU's internal market rules – in particular the free movement of capital, and the EU's charter of fundamental rights, which includes the freedom of assembly. 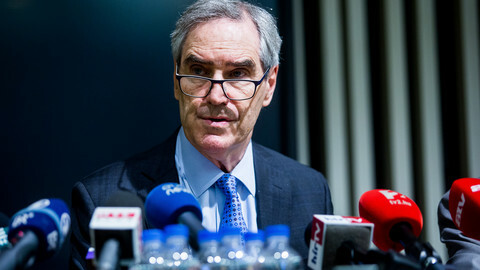 "We would not be democracies without strong and free civil societies,” he said in the most recent European Parliament debate on Hungary. The commission on Tuesday did not comment on what the next steps might be after the legislation has been passed. 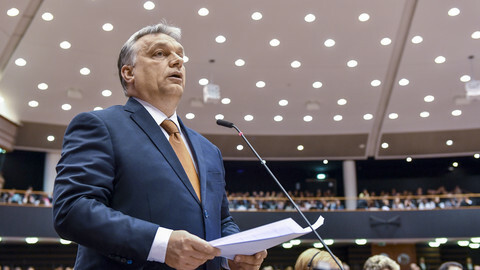 The EU parliament passed a resolution that called for the launch of the Article 7 procedure (rule of law mechanism) against Hungary to stop its backslide on democratic values. The institution also warned against adopting the legislation. Since then, the bill has been tweaked, but the NGOs called these “cosmetic changes” and claim the essence of the law remains the same. "The amendments do not remove the provision to stigmatise organisations as 'foreign funded,' nor the risk of an organisation being legally dissolved by the courts if it does not register as 'foreign funded’,” Human Rights Watch, an NGO, said in a statement. 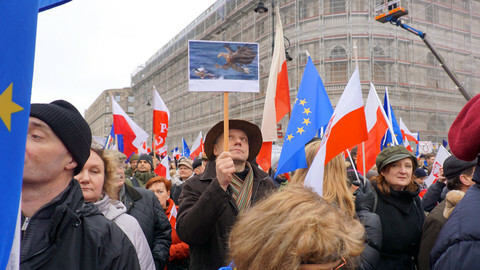 The Venice Commission, a legal advisory body to the Council of Europe, a rights watchdog, said in its preliminary opinion that the law imposes "excessive obligations" on NGOs and "disproportionate sanctions”, despite pursing legitimate aims. It also expressed concern over the "virulent campaign by some state authorities" against the foreign-funded groups. A government-financed billboard and media campaign has targeted Soros, and a questionnaire was sent to voters earlier this year urging support for the proposal to register foreign-funded NGOs. Orban's government also recently passed a law that critics say targets Central European University in Budapest, which was founded by Soros. The law is now under scrutiny from the EU commission. Rights groups say the NGO legislation is reminiscent of Russia’s 2012 "foreign agents law," which has seen dozens of foreign-funded NGOs closed down. Hungary's university protests, a path for change? Hungary has seen mass protests over the last weeks in support of the Budapest-based Central European University, targeted by prime minister Orban's latest legislation. But it is unclear how the new street momentum will be transformed into political power. 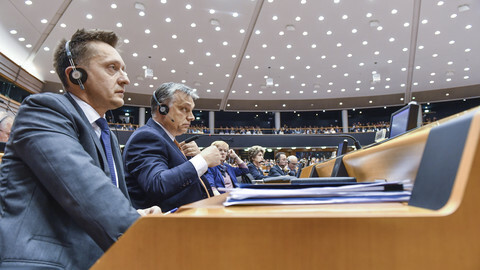 The EU Commission is to launch a legal probe into Hungary's attack on a Soros-funded university, but Hungary's Orban was unrepentant the he faced MEPs. French president Emmanuel Macron noted "a rise in illiberal democracies" all around the world. 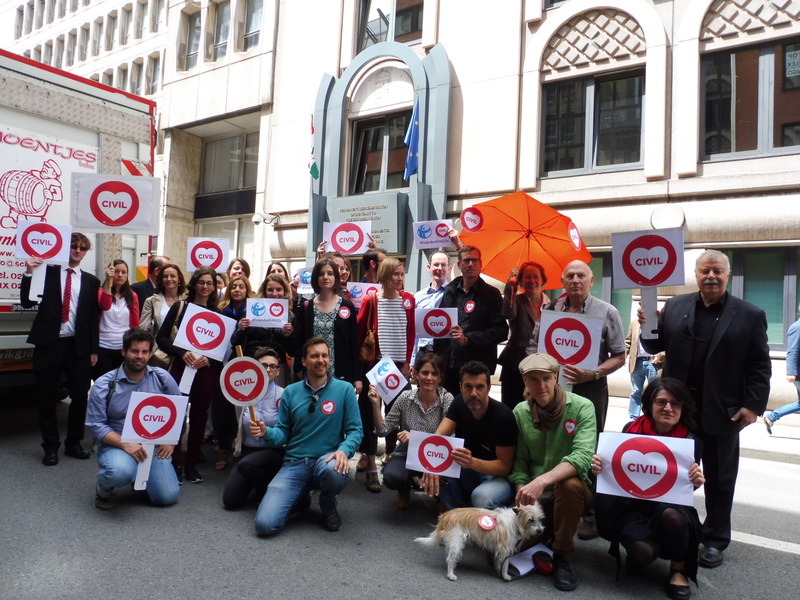 If civil society is not protected, we could see the same in Europe. Despite the EU's protests, the Hungarian government has managed to turn the country's media into a propaganda machine. Now the theme that dominates the airways, cables and billboards is: Soros using the EU to transport migrants.